The metal base has been embellished magnificently with 3 lines of dazzling white kundan stones. 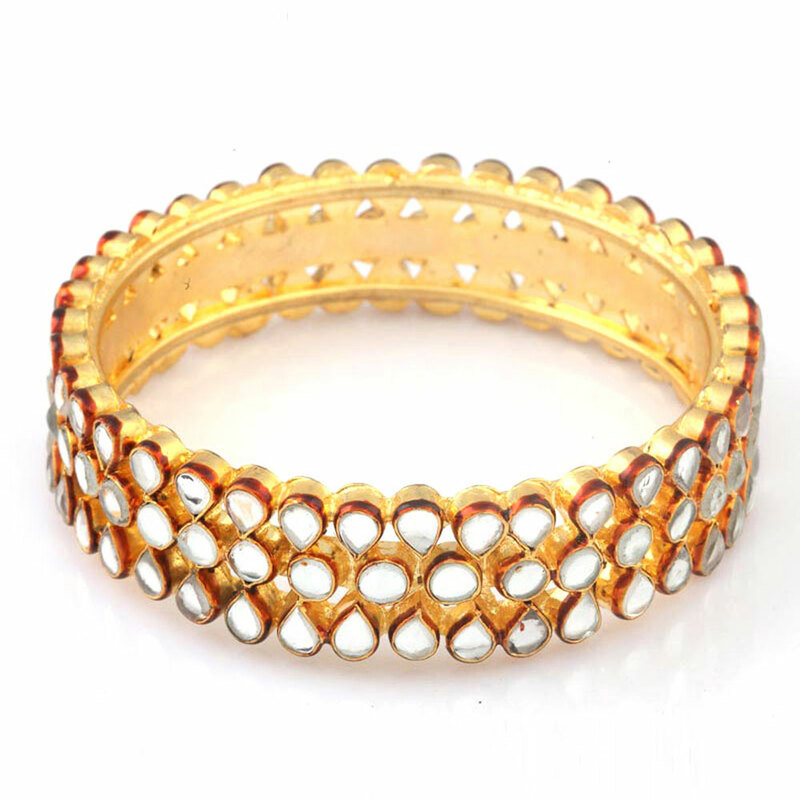 This magnificent designer bangle has been molded from the base metal of brass having micro thin gold plating. 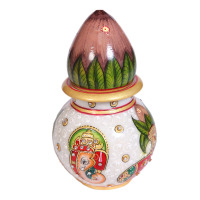 The metal base has been decorated magnificently Read More..with three lines of dazzling white kundan stones. The outer two lines are comprised of teardrop shaped stones while the central line features circular stones. Show Less..